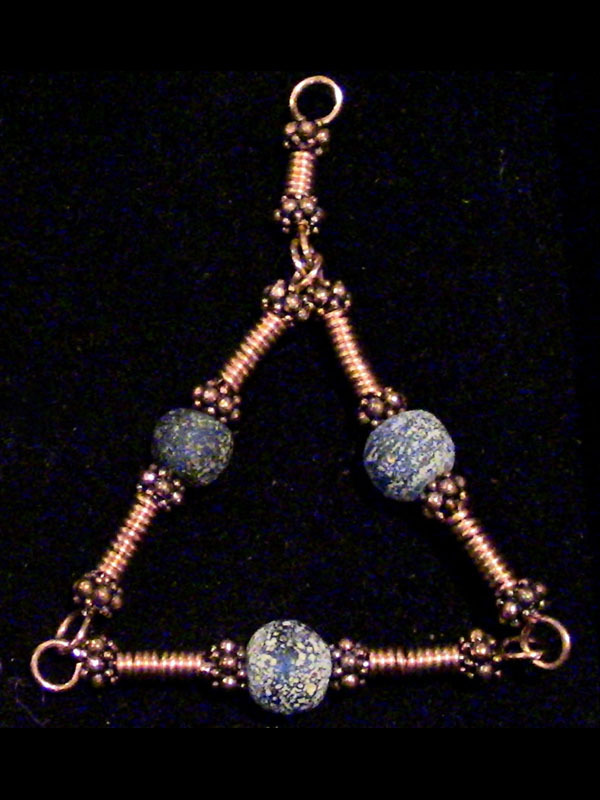 Roman Blue Cobalt Glass in modern copper wire & findings reconstruction. The above photo shows the beauty and compelling power of ancient cobalt glass. The winding coils and core wires with their wide, generous Induction Rings create a quantum effect that is unbeatable, perfect for a body worker or life coach to bring into the picture when appropriate, or wear it as a defender, to ward off bad & unwanted vibes.